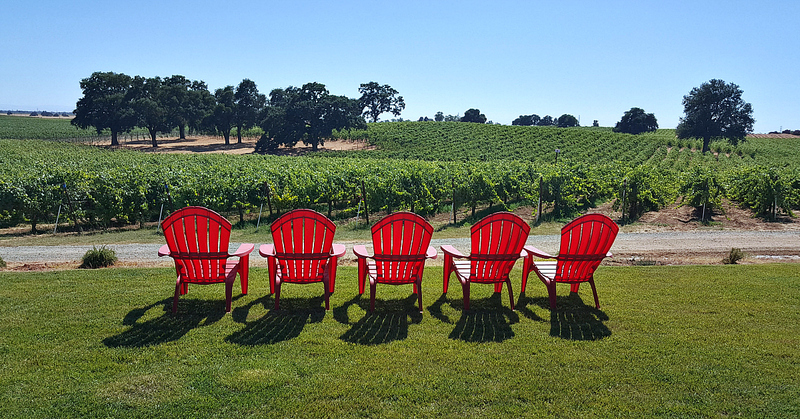 A visit to Bokisch Vineyards and Winery in Lodi is perfectly picturesque and a wonderful way to spend an afternoon. As you can see from the photos, this is a place where you’ll want to spend some time and soak up the beautiful view. 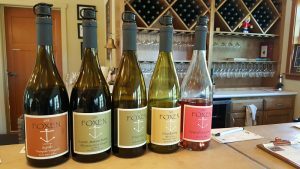 The Bokisch family has seven vineyards in Lodi and the tasting room and winery are at the Terra Alta Vineyard. They specialize in Spanish style wines and the Lodi climate is ideal for their grapes. Each of the vineyards has distinct growing conditions, so they are able to produce a good mix of varietals. 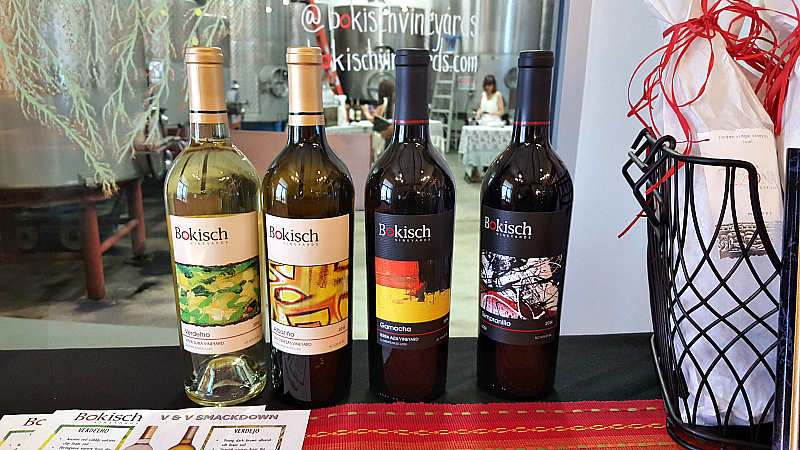 I enjoyed a lovely assortment of Bokisch wine paired with cheese from downtown Lodi’s Cheese Central. My favorite white wine was the Albarino and my favorite red was the Tempranillo. Of course, I loved all of the cheeses, especially the blue. Tasting fees are just $10 for 5 and the fee is waived with the purchase of a bottle. Generally, fees and bottles in Lodi are priced much lower than other trendy spots in California. It's great to be able to save money, without sacrificing quality. 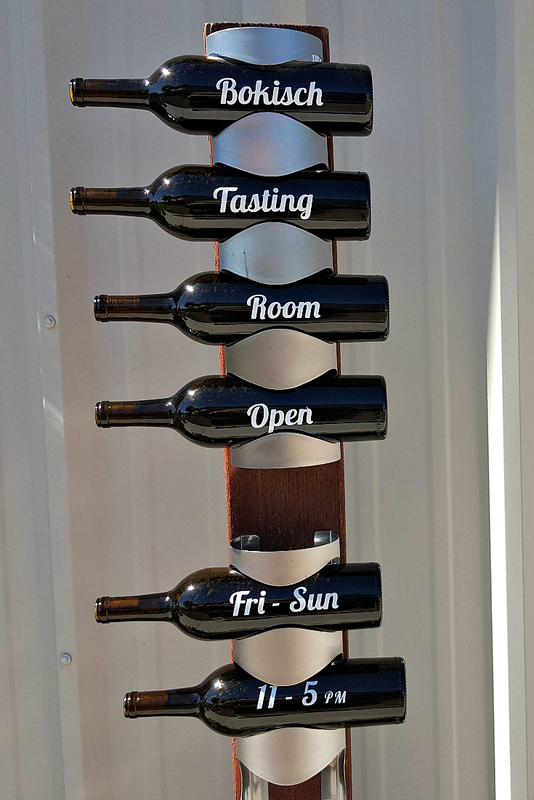 The tasting room is open Friday through Sunday from 11am to 5pm. If you're visiting with a group, you'll need to call ahead for a reservation. 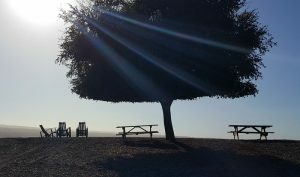 The vineyards are located about 15 minutes from downtown Lodi, so it's an easy drive. We arranged for transportation through Sip Shuttle, so we didn't need a designated driver. 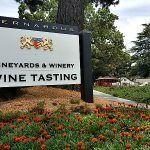 This was a great way to taste our way around the area and I liked the fun facts our tour guide shared. 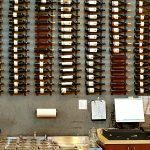 Bokisch is great for people who want to try a tasting flight indoors or you can buy a bottle to share outside. The views and the wine are fantastic. Also, check out my other Lodi articles and these great deals on Lodi hotels.